This new and acclaimed 106-minute documentary, directed by Ron Howard and previously aired on Hulu, is unique and different from the other previous ones that were about and related to the Fab Four. 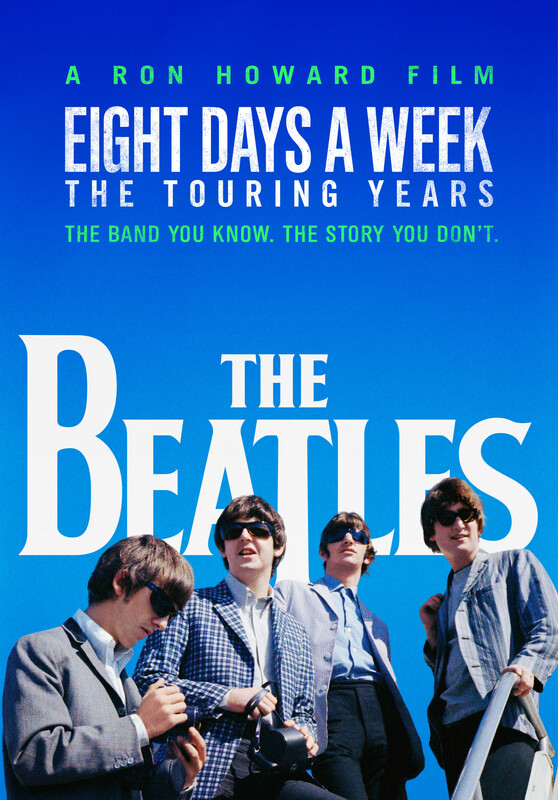 As indicated by the subtitle, Eight Days a Week focuses on the Beatles touring period–from their early gigs up to their final paid public performance at Candlestick Park in 1966–which was as phenomenal and historic as their music itself. It puts into perspective what an amazing performing band the Beatles were. Take away for just one moment all that hysterical screaming form the female fans, and you witness the Beatles as a very tight show band whose performances don’t stray much from the actual studio recordings, while even playing more energetically. Featuring interviews with Paul McCartney and Ringo Starr along with archival commentary by John Lennon and George Harrison, as well as reflections by Whoopi Goldberg, Elvis Costello, Eddie Izzard and Malcolm Gladwell, Eight Days a Week not only spotlights the band’s performances but also the climate of the times (the death of JFK; the generational and cultural shift from the ’50s to ’60s); one important thing explained in the doc that people might not be aware of is the band’s opposition to playing to segregated audiences in America. 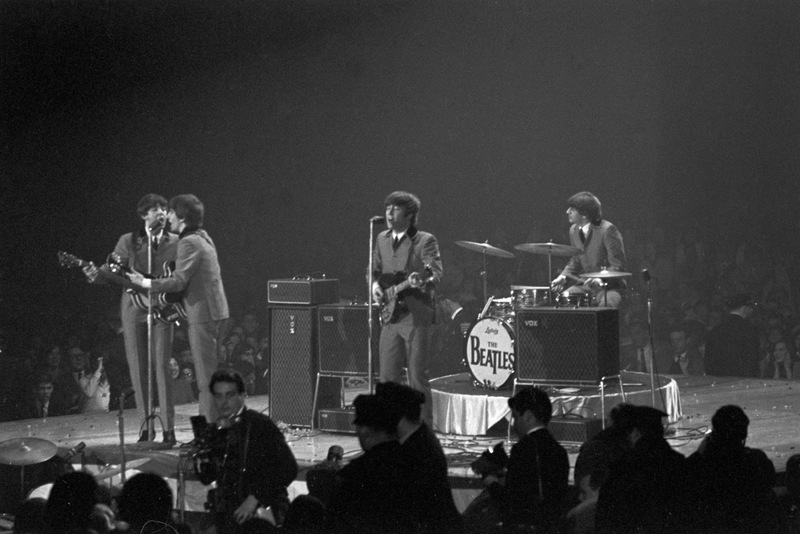 It also documents not only the excitement of the band playing to audiences (the highlight being Shea Stadium), but also how the Beatles’ rigorous touring schedule (while still writing and recording music at the same time!) took its toll on the band members that inevitably led them to stop after the Candlestick Park gig and further retreat into the studio. Some of the footage and (i.e. the rootftop performance in 1969) will be familiar to die-hard fans while others, including rare performance clips, are revelations, such as “She Loves You” at the ABC Theatre from 1963, or “You Can’t Do That” in Melbourne in 1964. While it’s all about the touring and TV performances, the doc does sneak aspects of the Beatlemania, such as the filming of A Hard Days Night and Help, as well as the music, the John Lennon controversial Jesus Christ comment, working with George Martin and Brian Epstein). Eight Days a Week recalls and recaptures the excitement of what it was like to see the Beatles onstage—if you could actually hear them among the screams— a once-in-a lifetime moment that ended after 1966.